Anthony Bourdain chose to leave most of his estate to his 11-year-old daughter, according to new documents. 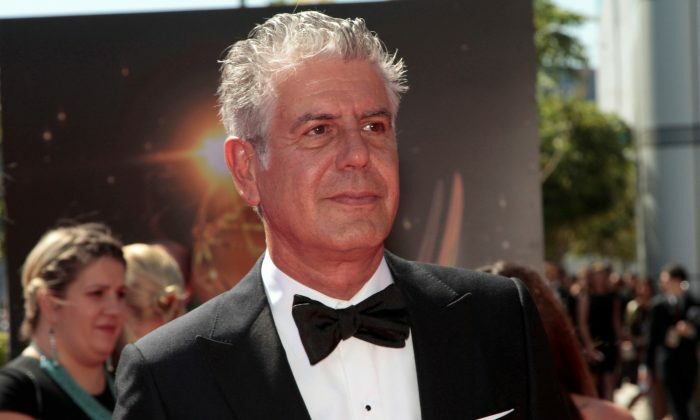 Bourdain committed suicide in June in France, leaving behind his wife Ottavia Busia-Bourdain and their daughter Ariane. According to documents obtained by the New York Post, Bourdain was worth $1.21 million at the time of his death. The documents, including a will, stipulate that the bulk of the estate be left to Ariane. The estate includes $425,000 in cash and savings, $250,000 in personal property, and $500,000 in intangible property such as royalties. The documents don’t include a condominium in the Manhattan borough of New York City that Bourdain and Busia-Bourdain bought in 2014, but do indicate a $1 million mortgage liability for an unspecified property. The will instructed Busia-Bourdain to dispose of Bourdain’s cars, furniture, books, and other belongings “in accordance with what [she] believes to have been my wishes,” Bourdain wrote. Because of Ariane’s young age, the court is expected to appoint a guardian to protect her interests. Ariane was Bourdain’s only child. Several days after Bourdain died on June 8, Busia-Bourdain posted a picture of Ariane performing at a concert on June 11, according to the Daily Mail. “Our little girl had her concert today. She was amazing. So strong and brave. She wore the boots you bought her. I hope you are having a good trip, wherever you are,” the caption said.